This Spring, I’ve devoted considerable time to evaluating the sports broadcasting work of college students across the country. It’s part of STAA’s annual Jim Nantz Award and All-America program. I enjoy seeing which college sports broadcasting programs are on the rise…and which ones are slipping. What Makes A Great Sportscasting School? 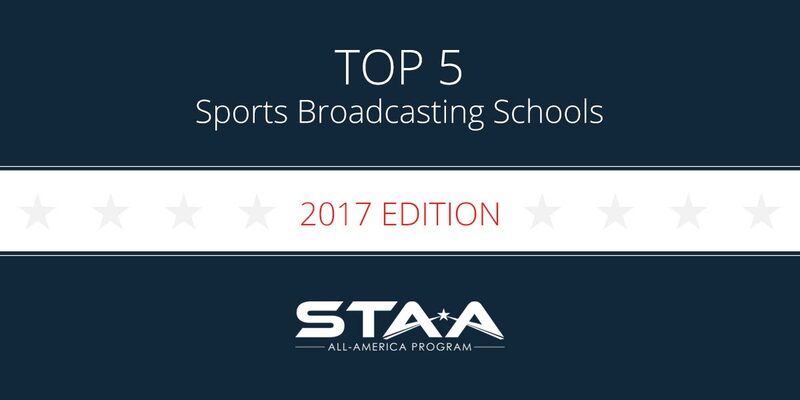 A university with pride in its sports broadcasting program should encourage students to apply for national recognition like STAA’s All-America program. Competitive spirit. It makes you better. Students receive fabulous instruction, and the help they receive from alumni is second to none. Turning out quality students in both radio and TV. Recent monetary gifts to the Cronkite School have ASU turning into the Syracuse of the West. Has burst onto the scene over the past four years and is getting stronger every year . . . Another great school for both radio and TV sportscasting. Have been great for a lonnnng time, especially producing TV talent. 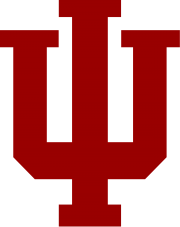 Between IU and Ball State, the Hoosier State is becoming as well known for great sportscasters as it is for great basketball players. In 2013, we published a list of the Top 20 Sports Broadcasting Schools in the country. Many of the names on that list would not be on my Top 20 list today. » Check the 2013 list here. There are five schools that have traditionally been outstanding for sports broadcasting. However, their lack of participation in STAA’s All-America program in recent years is curious. In addition to K-State, I’ve spoken in recent years to classes at Arizona State, Indiana, TCU and Western Illinois, among others. I’m glad to help any school that would like me to share sports broadcasting techniques with students. Online or in person. No charge. I’ll tell you what we look for in the Nantz judging so your students can apply it. I hope to see your school well represented in STAA’s 2018 Jim Nantz Award and All-America program. Many folks who read this will say, “My school is one of the country’s top schools for sports broadcasting.” If you believe that about your school, please explain your reasoning in the comments section below. I promise to reply to all of them. Ithaca College is starting to produce great broadcasters. Broadcasters who are not only talented but also smart and know how to present themselves on air. That is very important. Bomber Nation is starting to get love for sports broadcasting. I know they will be on this list in years to come. Dominican University of CA! DII school really building a solid broadcasting program. Hands-on teaching being a private school. Lots of opportunities to broaden broadcasting skills, with multiple sports you can hop on to. Less students means more experience and opportunities for yourself. Connections with local Bay Area teams and professors in the industry. Look out! There was a time when North Texas ranked high on the list. Unfortunately, the combination of Bill Mercer’s retirement and the RTVF department not making it a priority to replace him has diminished its status. Good to see Mizzou up there in the rankings. When I was a student there in the early 90s, the J-School heavily emphasized hard news and a fair portion of its faculty members frowned upon the sports side of the industry. There were two campus radio stations, and neither offered play-by-play opportunities for students back in those days. I never went there as a student, but Liberty University has some good broadcast facilities, an ambitious athletics program, and is starting to churn out some good talent. I will always stand by the incredible amount that I learned at Palomar Community College in California. Can’t possibly keep up with the big schools, but early hands on experience made it an excellent start. Plus the professor had a pretty good track record of success…. David Letterman’s interest and financial support well over a decade ago coupled with corporate involvement from companies like ESPN have pushed the Ball State University program to one of the very best in the nation! Northwestern literally has a sports journalism program for graduate students: http://sports.medill.northwestern.edu/ and I went there for undergrad and WNUR Sports gives more opportunities earlier to students to broadcast BIG TIME college sports than any school I know of! Are there any other colleges in Alabama that you would recommend? Also, what major should I choose? Communications, journalism, or some other major? Just out of curiosity why is Western Illinois not on your top five list? Is there a particular category they fall short in? Any Jesuit schools you would suggest for sports broadcasting? One of my parents works at a Jesuit school and as a benefit through an exchange I can get any Jesuit school with tuition free. Please Respond. What do you think of University of Oregon? Smaller program but seems to allow reps.
Hi JJ — Oregon is an interesting one. I was totally unaware of their broadcasting program until several years ago. Since then, I’ve had 2 or 3 of their students who have submitted impressive samples of the work for our annual Jim Nantz Award. The Ducks are definitely worth a look. Any Texas schools? Also, how is Emerson these days? Any good Carolina school for sports broadcasting? I am currently in high school doing an internship for broadcasting. Hi Tyler. UNC and Appalachian State are two that come immediately to mind. Catawba might have a new sports broadcasting program, as well. I live on the east coast, and I’ve heard UMD and UNC are good sports broadcasting schools, would you recommend any others? I was wondering if you could go into a little more depth on the drop off of USC and Miami. These are both schools that I’m interested in, but if their sports broadcasting programs are no longer elite I have no interest, so I’d like to know what’s going on before making further decisions. I live in Virginia and was wondering what the best schools for sports broadcasting in Virginia are. Thanks for answering my question. One more: do any sports broadcasting schools that you know of have more of a focus on football than other sports? Thanks. I was curious to know why the Fordham program has dropped off in the recent years? I was wondering if you have any input on University of Maryland and if they have been climbing up the list? Hi Jon, Great info. My son recently applied to Marshall as they are showing a Sports Broadcasting Major. Is this a school worth looking at? Hi Jon, for Missouri…. did you mean University of Missouri or Missouri State? Hi Jon – What advice would you give to a high school student wanting to learn more about Sports Broadcasting as a possible career? Hi Jon, my son is looking to transfer to 4year college as a sports broadcasting major. We are in the eastern part of PA. We have looked at Monmouth University in N. Jersey as they have a specialized radio/tv broadcasting communications major with a minor in sports communications. It looks like a really good program with a lot of connections with NY sports teams. Any other suggestion in PA or NJ? Maybe something closer to Philadelphia? Thanks! Hi Jon, What colleges on the west coast do you recommend I tour that have strong Sports Broadcasting programs?This summer I attend a camp at ASU and absolutely loved it but I am looking at other options other than just one school. Hi Jon, I appreciate your articles I’ve taken them into serious consideration in searching for schools. I want to get as far into sports broadcasting as possible as it is by far my passion. I sort of have my heart said on U of Miami but looking into their actual programs they don’t offer a specific sportscasting program, only broadcast journalism with sports media courses. I am also interested in jounalism, but my question is, if I really want to get into sportscasting is it more worth it for me to look into schools with more specific sport oriented programs? Or is U of Miami perfectly as capable of getting me to where I want to be in that field? Hi Jon, What schools in Texas would you recommend for sports broadcasting? I’ve been looking at Texas the most but I want to know what my other options are, thanks. Quinnipiac has Sports Journalism major and make some pretty impressive claims about it, any reason they did not make your list? I am in the NY metro area and am lucky enough to be looking at QP, Fordam and Hostra. So Indiana is a good choice? I am interested in going there but haven’t seen them on other lists besides this one. Thank you for what you do! I am very ignorant about all this so forgive me. Hey Jon. I’m a junior in high school and I’ve been interested in sports broadcasting since I was 5. Would Elon University in NC be a good choice? Hey Jon. I’m a Sophmore In high school and I have heard that Penn state is a good school for sports broadcasting. What makes the Syracuse and Arizona state stand out from Penn state. Hi Jon, I was hoping you might have some information on Southern Miss. It seems as though they have a good program with practical experience and internships. Thoughts…? I appreciate this blog all the wisdom you’ve been proving!! I’m most thankful that you’re actually taking the time to reply back! My daughter is a current senior in High School, she wants to be an ESPN sports broadcaster or have a sports Radio show like Mike and Mike. She would also like to become a sports agent. So far, I’ve heard no mention of UCF. Where do they stand in regards to sports boradcasting? I hear that Emerson is a good program and has been excepted, but cant attend due to the high price of out of state tuition fees. She want to go of state to some of the schools you’ve mentioned, but are they worth the debt for an undergrad? You mentioned on a previous blog, that the hands on experience the school offers is more important then the actual major. What’s the best way to approach finding the best undergrad or grad school. Currently I am a junior in High School in New Jersey and am highly involved with my local TV studio doing broadcasting, live play by play and sideline reporting, as well as anchoring a local sports talk show. I am looking to major in broadcast journalism or journalism in college. I was wondering how Georgia, Indiana or Florida State’s program’s (as well as studio’s) compares to Arizona State, Syracuse, Mizzou. Do you know if freshman get an opportunity (or can audition) to be in front of the camera at any of these schools. Finally, do you know anything about Wisconsin-Madison or Ohio State. Thanks for the articles and the help! I’ve been researching and I saw that Clemson has a major in Sport Communication, do you have anything to comment on this particular major or Clemson as a whole when it comes to sports broadcasting? Hi mr. Chelesnik I would like to go into sports radio talk show. What would be the top 5 best schools to go to for that? Im confused because Syracuse now has a BAS in all 3, at the Falk School and Newhouse 2. I hear STAA has a program but I don’t see them mentioned here. What would be the difference between STAA and let’s say Syracuse? Jon, My son is interested in sports broadcasting . He plays sports football and Lacrosse . He is hoping to continue to play in college . Is that possible and still get a broadcast degree? Which schools would you recommend for a graduate degree? Thanks! Don’t you pretty much have to be previous athlete to do sports broadcasting. Really that’s all you see. What are your thoughts on this? Hi, Are there any schools in Colorado that you would recommend? Hi Brittany. Colorado State would easily be my first choice within the state. Colorado Mesa College might also be worth taking a look at. Hi! Any good options in Canada that you’re aware of?